The hummingbird cover is beautiful and appropriate. 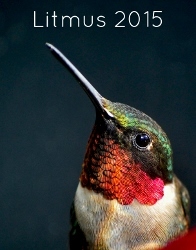 Hummingbirds are relentless, tireless and always seeking nectar. We’ve learnt on our final module, in order to be successful, to find agents or to self-publish, writers have to be tireless and resilient. And of course, we are always hunting for ideas; our own creative nectar. As well as students and their significant others; tutors, expert speakers, guest bloggers and agents will be attending. Many of us will read excerpts, which is not at all terrifying with an audience like that! There will be refreshments and merriment, and I’ve heard there may even be cake. So, 10 days to go and we will be going with a bang! This entry was posted in Litmus 2015 Book Launch and tagged agents, author, Launch, Litmus 2015, MA Creative & Critical Writing, MA Writing for Children, publishing, University of Winchester by Litmus 2015. Bookmark the permalink.